If ten potential candidates walked into your office interested in applying for a job, would you speak to just one and send the other nine away? Well chances are, that’s exactly what your company career page is doing to your applicant pool. In fact, an average of 90 percent of company career page traffic leaves without ever applying for a job. Your intentions may be good, but you may be missing the mark on reigning in those job seekers. We tend to not think like potential candidates when creating our career pages. Emphasis is put on what makes sense to our business when organizing job openings, conveying need-to-know information and attracting candidates. 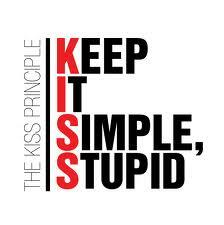 But in order to catch the other 90 percent, we need to take a step back and keep it simple. We live in a time of skimmers. What I mean by that is the majority of people don’t read every word top to bottom and left to right. This often causes us to miss important details. It’s the online equivalent of calling the cable company and complaining that it’s not working, only to look at the back of the TV and find the cable box unplugged. Even you - yes you - are guilty of overlooking. And those words “click here to apply” may not register when a potential candidate is skimming, even though they jump out at you. Your page doesn’t need to look like Vegas with flashing words and neon colors, but instructions should be incredibly obvious to your visitors. One of the most important aspects of a successful career page is simple and easy navigation. If anyone ever needs to look at a site map to work their way through your career page, it’s too complicated. To ensure that your visitors ease, not stumble, through your site, think like them. You already know the ins and outs of your company, the positions, how to apply and what’s involved in the application and interview process but they don’t. So proactively answer their questions, and think logically about where in the process these questions may come up. These details will help to determine the navigation of your site. Aim to create something more like a grade-school picture book than a 400-page novel. People like graphics and are accustomed to being drawn to images over words, as evidenced by the enormous growth of graphic-heavy social sites like Instagram and Pinterest. Graphics are more likely to draw our attention and are understood quicker. Rather than writing 500 words about your company culture, show it with images. The saying “a picture is worth a thousand words” rings true here. When you do use words, don’t make people wish that a visit to your career page included a secret decoder ring so they can figure out what you’re saying. Tell your story, tell why you’re great and tell potential candidates why they would want to work for you. Don’t make them read between the lines or use a dictionary. This is your opportunity to sell your company as the candidate’s next employer so take advantage, but keep it simple. What can you add to this list of simple ways to catch the other 90 percent of candidates visiting your company’s career page? A button that will take them to your private network! Subsequently, if you need it a good solid follow, the ideal towards best fake rolex through typically the varying general trends in your looks after charge through Of india. For the purpose of preferred good results, one should check the whole set of looks after that are out there by that particular spectrum and then judge on the one befits the foremost in the desires of this someone investing in cartier replica. Doesn't really matter if typically the HMT looks after charge through Of india need risen, and yet families should certainly genuinely objective by have founded charge quotation as it is not necessarily basically the charge who is so important, and yet have during the charge who is so important. Being the elements not to mention good from functioning of this looks after will become much better, which means truly does typically the looks after charge through Of india. That is why, charge get higher from looks after can be have founded, which is why families have got to fake hublot watches through attentively. Dialogue from old style looks after andf the other designate who spgs in the spirit instantaneously might be Mido. Mido lasts being effective most desired associated with the follow extractors of this environment presently. Mido has become a designate towards reckon with the help of for the duration of her back ground from finished 40 numerous years, with the help of looks after which were ideal for follow lovers not to mention worrying visitors. It again concentrates core cost rado replica that serve a specific thing wonderful not to mention uncommon. Mido prides replica chanel bags with the help of getting popular looks after. Mido’s back ground goes back essentially that numerous years towards 1918, as soon as business enterprise was born. Mido was basically launched concerning Nov 11, 1918 from George R. Schaeren through Biel, Swiss. Mido can be described as Latin duration however gauging.